The £126 price cut that Sony recently gave the PlayStation 3 (PS3) in the UK will have "minimal impact" on the high definition format war between HD DVD and Blu-ray. The HD DVD Promotion Group says that the real battleground is in standalone players and that "HD DVD is winning". 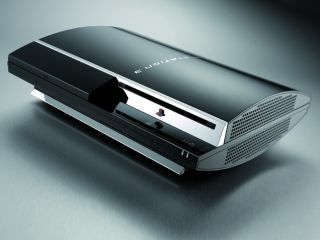 "The European PS3 price cut will have a minimal impact on the adoption of next generation HD formats. The real battleground is in sales of standalone players and HD DVD is out in front by a massive margin," says Ken Graffeo, the co-chairman of the European HD DVD Promotional Group. Indeed, the HD DVD side have pointed out some independent research conducted by GfK in Europe which confirms that when buying an HD player, "consumers are choosing HD DVD". HD DVD's share of the standalone player market (so that's not including the PS3) has consistently stood at "70 per cent or above". "The huge majority of movie lovers buy standalone players, not games consoles, to watch movies," said an HD DVD spokesperson. "This is shown by the fact that for every HD DVD player sold there are already four movies bought. This compares to one movie for every two PS3s. In fact, some might suggest that PS3 owners are only buying Blu-ray movies because of a current lack of compelling PS3 games titles." Michael Greeson, president and principal analyst at The Diffusion Group says: "Recent US research by The Diffusion Group found that among those who own a games console that supports DVD playback, less than 40 per cent are actually using the consoles for viewing DVD movies, and in most cases infrequently. Then what are they using these next-gen consoles for? Take a breath, for you won't believe the answer: Playing games!"